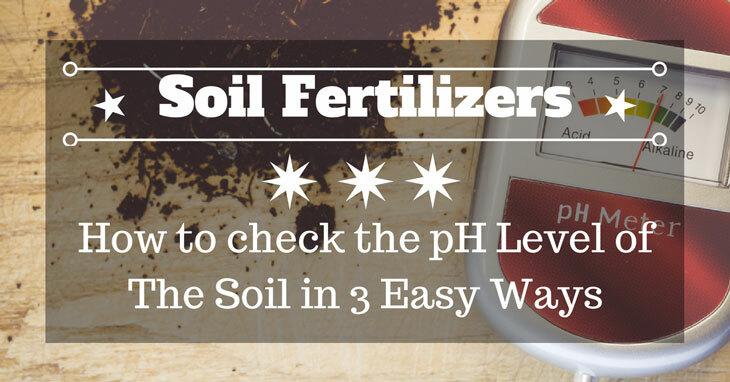 Before we start sharing with you the ways you can check the pH level of your soil. We will first discuss the importance of checking the acidity of your soil. You might already know that having a high pH level in the soil is the cause of death of some plants. But what you might not know is that there are certain types of plants that strive for a high pH level. Some of these plants are broccoli, artichoke, and asparagus. This example will already give you an idea of what kind of crops you can plant. Knowing the pH level of your soil will help you decide on what kind of crop to plant. You can also use this information to decrease or increase the pH level of your soil. While most plants live on a balanced pH level. Some of which prefer to grow on a lower or a higher scale of pH. There are a lot of reasons why the pH level of your soil could change. And some of these reasons might be the solution to your problem. The first reason is that decaying plants leave a part of them that adds acidity to the soil. If you’re a regular gardener chances are that you’ve might have killed off a plant or two in the past. This might be the reason for the change in your soil’s pH level. Another reason is that adding compost on your soil changes the chemical compounds in the soil. 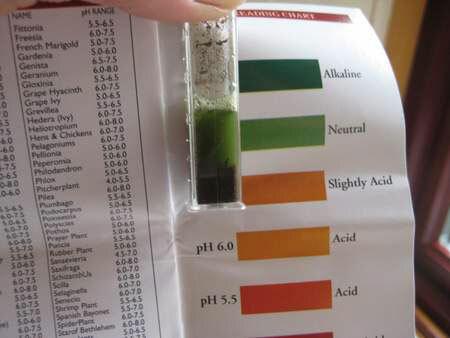 Adding plant food is the number one cause of changes in pH level. This is because adding plant food will alter the natural pH level of your soil whether it’s high or low. The best way to alter the pH level of your soil is by adding compost while checking the pH level of your soil. Now that you have the basic knowledge of how pH level works. Here are some tips on how you can check the pH level of your soil. The first method on our list is the acidity test. This test is the easiest test that you can do and it involves only a few materials. This test has two parts which the other will be explained in the next preceding paragraph. The first step involves getting a scoop of soil from your pot or your backyard where you’ll plan to plant your crop. Try to get a clean patch of soil that’s free from stones and debris. This will help you get an accurate measurement of your soil’s acidity. The next step is to fill the glass container with one scoop of soil. Remember to keep it clean so that you won't have to repeat it again. Choose a glass that’s visible so that you’ll see the results clearly when you put in the last ingredient. Then add the water to turn it into a mud. And finally, add the baking soda. The correct measurement would be a half cup of baking soda. Stir it and wait for the results. If the mixture bubbles or fizzles this is a sign that the soil coming from your garden is acidic. If it shows no reaction then your soil is most likely be neutral. 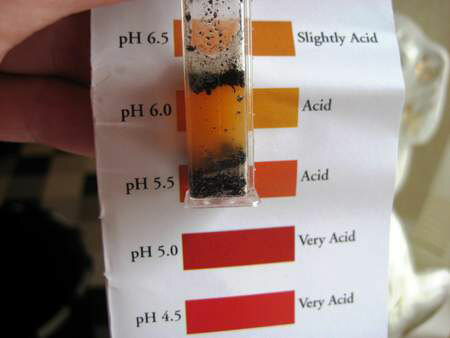 The process of testing the alkalinity of your soil is just the same as your acidity. Just follow these simple steps to help you achieve your goal. Remember to follow it so that you won't encounter any troubles with the experiment. Just like the acidity test. The first step involves getting a scoop of soil from your pot or your backyard where you’ll plan to plant your crop. Try to get a clean patch of soil that’s free from stones and debris. This will help you get an accurate measurement of your soil’s alkalinity. And finally, add the vinegar. Just like the acidity test, the correct measurement would be a half cup of baking soda. Stir it and wait for the results. If the mixture bubbles or fizzles this is a sign that the soil coming from your garden is alkaline. If it shows no reaction then your soil is most likely be neutral. The most popular and easiest way you can check your soil’s ph level is by using a soil pH test kit. This method is one of the most accurate tests that could determine your soil’s acidity. You’ll only need to buy a soil pH test kit from your local store and follow the instructions. Depending on what kind of pH tester you bought the procedure will most likely be the same. The first step is to gather your sample soil from your garden. Make sure that it’s clean and doesn’t have any debris on it to get an accurate reading. If you’re using a liquid-based tester. The next step is to add the soil to the tube with the barium sulfate powder and liquid solution. And if you’re using a powdered-based tester. The next step is to add the power to the soil and add water. You’ll need to be careful when doing this because it involves chemicals. Wait for 5-10 minutes for the chemicals to process. After which take out the color chart that comes with the kit and compares it with the result. Depending on the test kit that you bought. The results may vary between green as neutral and orange as acidic. Here Are Some Sample Experiments. This result indicates that the soil is neutral. This next experiment shows that the soil is acidic. You can buy your own tester at your trusted gardening stores. You could also order them online via your online stores. There are different kinds of pH tester kits so choose the one that’s easy and convenient to use. So did you like this little experiment? These are just some of the many ways that you can check the pH level of your soil. 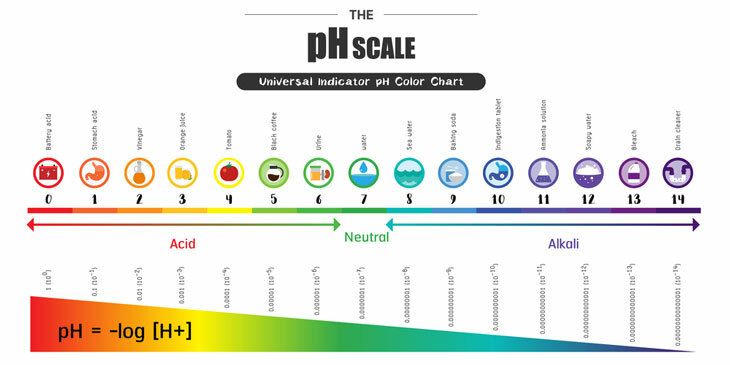 Knowing what the pH level of your soil is important as a gardener. By knowing the pH level of your soil, you’ll have an accurate view of what to plant. Comment below on what you think is the best way to check the soil’s pH level. Please share the article if you liked it and thank you for reading.